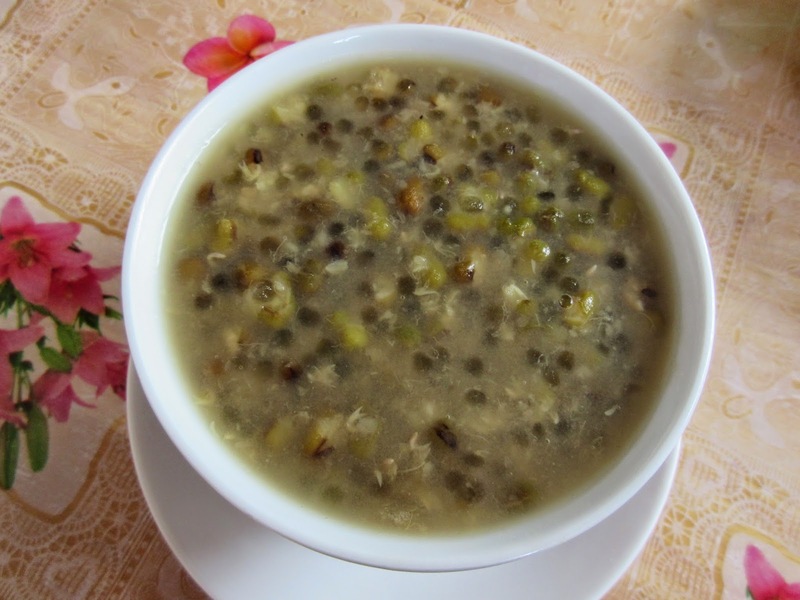 Mung bean soup or mung bean porridge is a dessert most of us grew up with. A popular Malaysian fare which bring sweet comfort to warm our tummies during breakfast, supper and even popularly served at buffet in local hotels. It is easy to boil but there are so many variations to its preparations, which usually is according to ethnic or community preference. Some like adding coconut milk or santan to enhance and enrich the flavour. 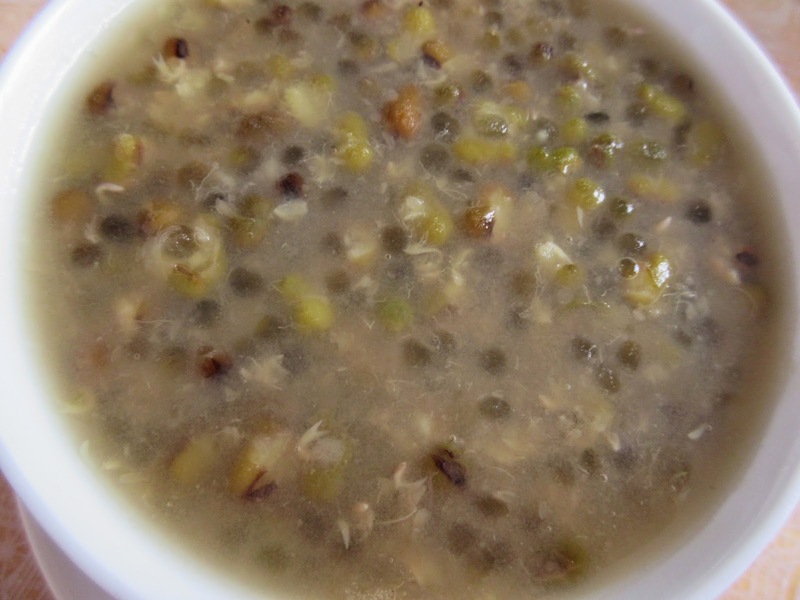 I added sago pearls to thicken and smoothen its consistency. 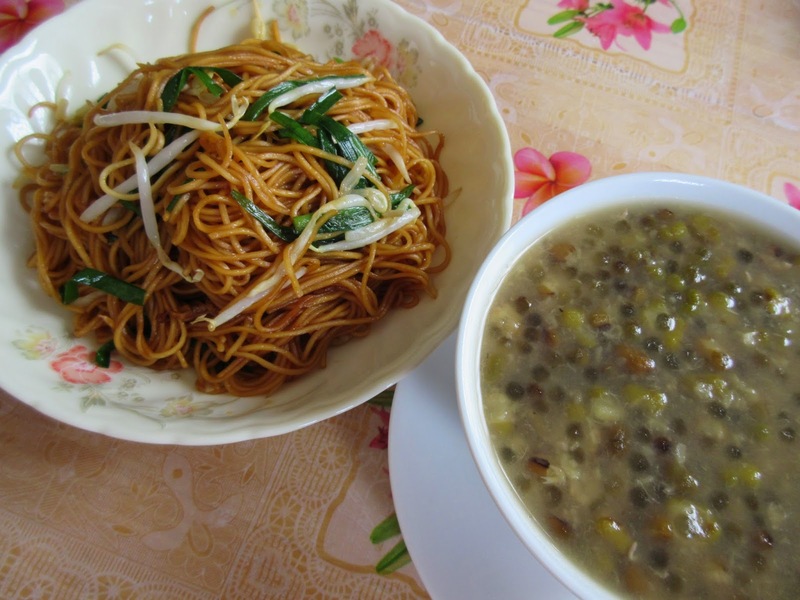 I prepared this soup for breakfast on the first day of the Chinese New Year to go with Supreme Soy Sauce Fried Noodles because we need to observe a vegetarian diet on the first half day of the Lunar Chinese New Year. 1. 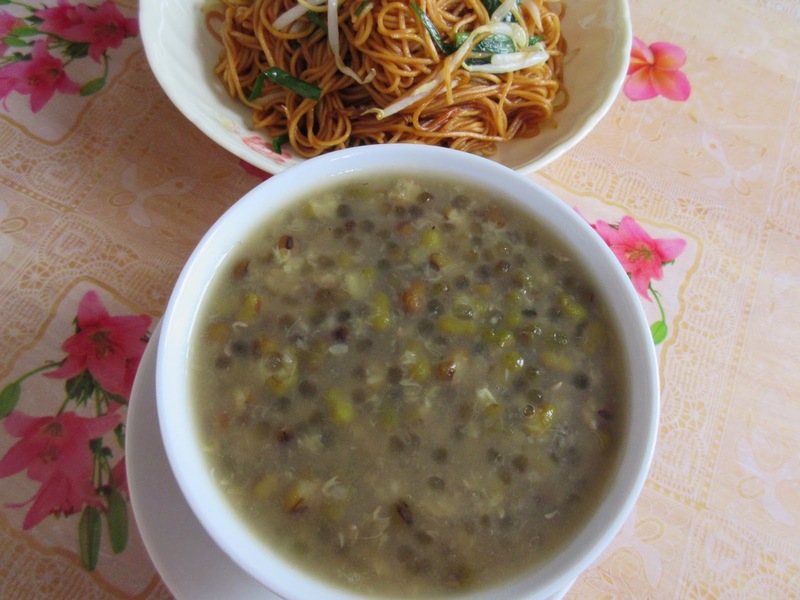 Wash mung beans thoroughly. 2. Add in water and pandan leaves and bring to a boil. Once it comes to a boil, lower heat and continue to simmer until the beans start to break down. Then add in sago pearls and continue to simmer until the consistency is porridge-like. 3. Add sugar last. Stir to mix well. The meaning of this is that you literally get rid of fat by eating Coconut Fat (in addition to coconut milk, coconut cream and coconut oil).